Today I look at contracts closed in April 2011 in zip code 20001 using data released by MRIS and its business intelligence subsidiary, RBI. Roughly situated between 11th Street NW and North Capitol Street, bordered on the north by Irving Street NW / Michigan Avenue NW and by Pennsylvania Avenue NW / Constitution Avenue NW 21st Street NW on the west, 20001 is the home of the Canadian Embassy and Howard University. The Shaw, LeDroit Park, and Bloomingdale neighborhoods are located here, too. Aggregate dollar volume was 37.52% lower than the same month in 2010. Unit sales fell just as steeply, down 40.32%. However, the average price for a home was up 4.69% while the median price was down 1.97%. 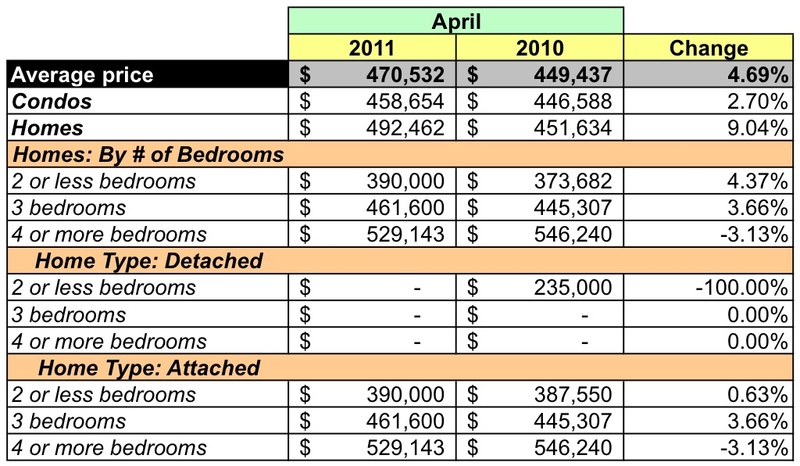 While the number of condos sold in April (24) was relatively unchanged from the previous April (27), there was a significant drop in houses sold. 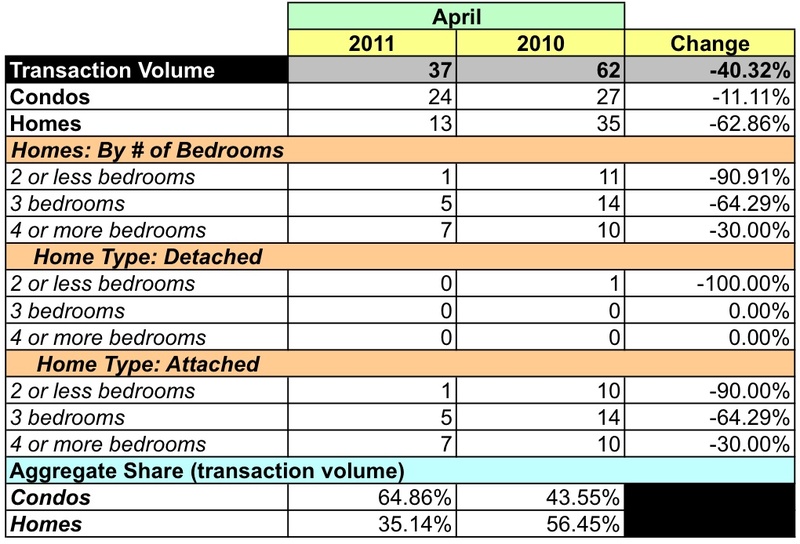 Thirteen houses sold in April 2011 compared to 35 in April 2010. Average prices for condos were up 2.7% and up 9.04% for houses. April's average prices for condos were higher than the average for the preceding 11 months, but within the minimum/maximum for the period. One condo and one house sold at a price between $800K-1MM, all other properties sold for $150-800K. Zip code 20001 represented 6.26% of April's dollar volume. The zip code's average price was 9.6% lower than the District's average and its median was 5.51% higher. 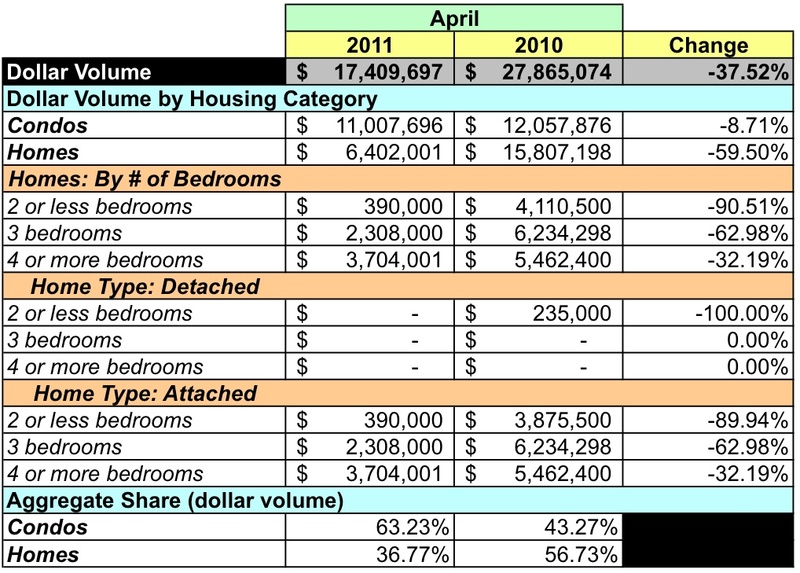 The zip code's sales volume represented 6.93% of all units sold in April. 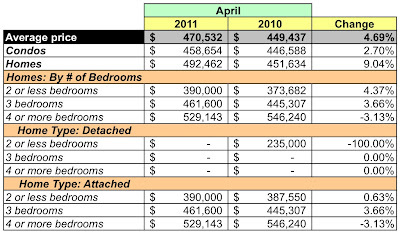 At April's sales rate there's a 3.5 months supply of condos and 4.46 months supply of houses. All condos listed in 20001 are priced between $150-500K. 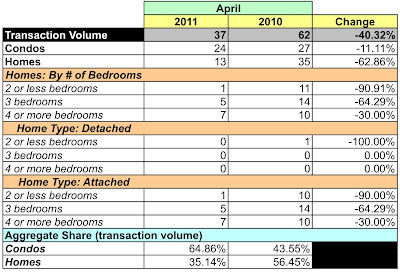 More than half of the condos listed in April were in the $300-500K price range. The $600K price appeared to be the median price point for houses: 28 were listed below that price, 30 above. According to MRIS, properties in 20001 sold for 96.3% of the listing price. The market in zip code 20001 trends towards condos / attached houses; very few detached homes sell in 20001 in any given month. The zip code's prices are reasonable by the District's standards so buyers looking for a condo / attached house should consider the neighborhoods in 20001, but be aware that tight inventory will mean less bargaining leverage and the need to be prepared to move quickly when the right home is found.